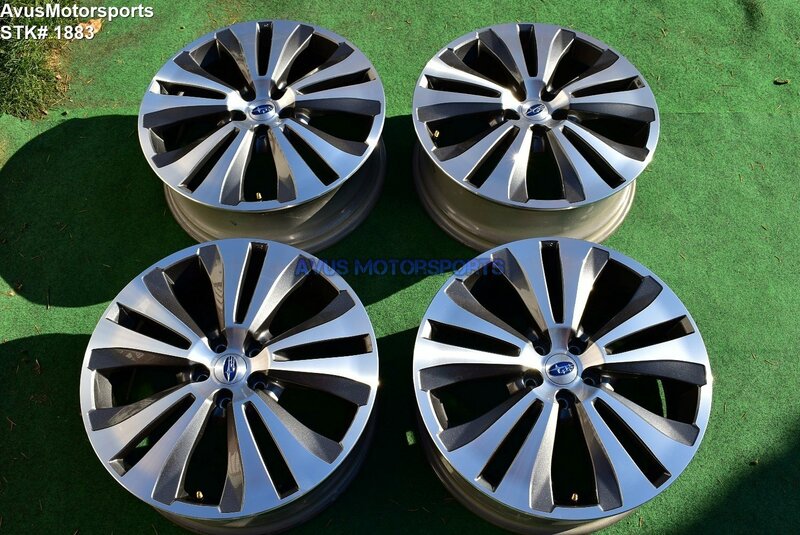 This item is for a set of (4) 2019 Subaru Ascent Limited OEM 20" genuine factory wheels. These wheels were removed from a brand new 2019 Subaru Ascent Limited with around 100 miles, so they're in excellent like new condition, but there might be minor blemishes (please view all pics). These wheels are NOT off a wrecked vehicle! It may fit other subaru vehicles, but please do your own research first!